Happy 2018 y'all! Sorry for being M.I.A. on the blog. I took time off during the holidays to relax and recharge with family but happy to be back to share my January wish list! I think I'm going to make these wish lists a monthly recurrence at the beginning of each month. What do y'all think?! I obviously wish I could purchase everything on this list but then I'd be left with no money to pay rent haha. UGH priorities man. 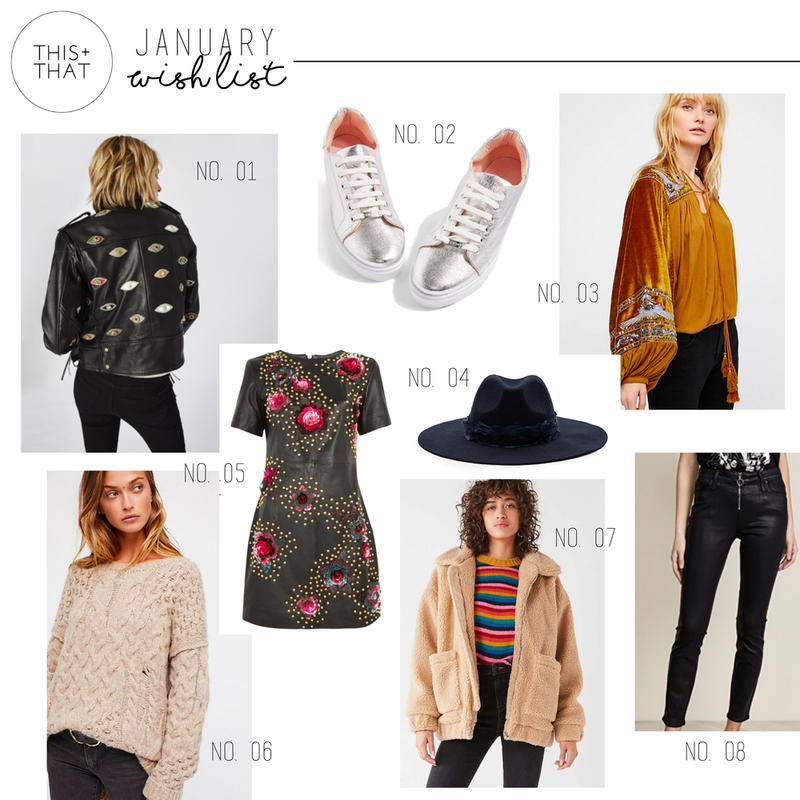 I'd say the #1 item I want on this wish list is listed as #1 in the collage above -- this gorgeous evil eye leather jacket. Being genuine leather, the price point is high so it's definitely not something I can afford to purchase at the moment, but a girl can dream right?! I've also been on the lookout for a teddy jacket and haven't been able to find one that I absolutely love until my eyes laid upon this cutie! Now this is an item that I will 100% be purchasing this month.